This traditional electric light pendant is made out of solid oak to an original period design. This ceiling light will suit any period property where authenticity is required. 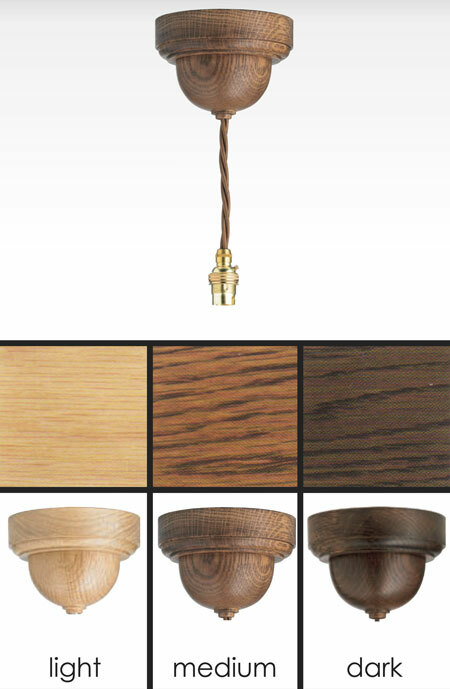 Each light pendant can be supplied in the 3 oak finishes of light, medium and dark. * Made of solid oak.